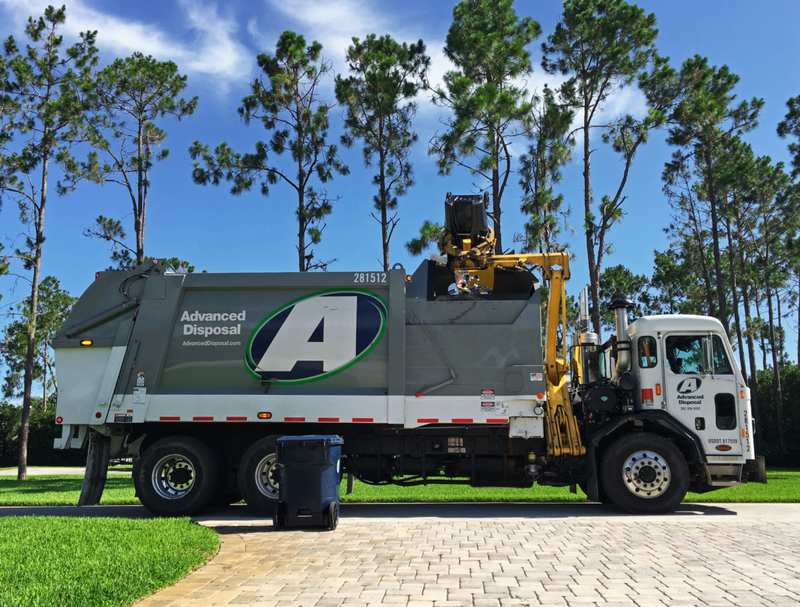 The City of Auburndale’s Public Works Sanitation Division is responsible for the collection and disposal of both residential and commercial (small generators only) of solid waste. Residential solid waste is collected once a week. A holiday schedule with route changes is also available below. Solid waste containers should be placed at curbside by 7:00 am on your collection day. The arrows on the lid should face toward the road. All items must be bagged to prevent material from becoming blown and scattered. Containers should be removed from curbside by dark after collection. Call 863-965-5511 during normal business hours for more information or you can email the sanitation department at Sanitation Division. Bagged grass, leaves and small piles of clippings are collected weekly on Wednesdays, (Unless route changes occur due to holidays). Tree trimmings, furniture, construction/demolition materials, appliances and tires are collected on an as can serve basis with no scheduled day. There is an additional charge for collection of these items. Call 863-965-5511 for rates. All items must be separated and placed at curbside. DO NOT place items under power/phone lines, over water meters, sprinklers, next to mailboxes, vehicles, or fences. Tree trimmings under 24 inches in diameter may be cut in lengths not to exceed 48 inches. Tree limbs exceeding 24 inches in diameter must be cut in lengths not to exceed 24 inches. Residential curbside recycling collection day is the same day as your trash pickup, unless schedules changes are necessary due to holidays. This is a contracted service by Advanced Disposal. Containers should be placed at curbside and removed as solid waste containers. A recycling dumpsters is located at Public Works, 915 Charles Avenue. The dumpsters are for large items that may not fit into your container or an abundance of materials are to be recycled. Materials accepted are magazines, newspapers, cardboard, steel cans, aluminum cans, plastic and telephone books. Visit Advanced Disposal’s Website for more information. Used Motor oil, antifreeze and automotive batteries may be brought to the Public Works Department located at 915 Charles Ave. Monday thru Friday 7:00 a.m. – 4:30 p.m. This is for residential customers only. No hazardous waste is collected or taken for disposal by this department. These items should not be placed in containers at curbside for collection. Polk County Solid Waste operates a Household Hazardous Waste Collection site. Call 284-4319 for information about site hours and location. Examples of hazardous waste but not limited to are: pesticides, fertilizers, paint, household chemicals, fluorescent bulbs, propane tanks and fuels. Storm water and storm water management deals with both water quantity and water quantity. Public Works is responsible for maintaining water quality by performing routine maintenance of canals, catch basins, storm-pipes, roadway swales and ditches. Any problems associated with flooding or drainage should be reported to the Public Works Department at 863-965-5511. Storm water quality is a responsibility of both the city and its residents. Our lakes are a very valuable resource. The lakes are home to many wading birds, otters, alligators, turtles and fish. The city tries to protect our water quality through practices to keep pollutants from entering into our lakes by street sweeping and litter control. Routine inspections of industrial facilities throughout the city help to prevent and detect any illicit discharges. Residents can also help by using caution and care when applying fertilizers and insecticides to their lawns. When doing lawn maintenance by not blowing grass or leaves into the roadways to be carried to our lakes by storm water. Residents are encouraged to use xeriscaping and landscaping with Florida native plants. Information may be obtained through the Florida Yards and Neighborhood Program, administered by the University of Florida Cooperative Extension Services or the Polk County Office in Bartow. Contact number for the Bartow Office is 863-519-8677 or online at Florida Yards and Neighborhoods. Illegal discharges or dumping also causes pollution to our lakes. Citizens are urged to call the Public Works Department , 965-5511 if they see or suspect that illegal dumping or discharging is occurring to our lakes or to our storm-water system.